Whether your event is a corporate dinner, cultural or educational program or a celebration or festival, let us provide the entertainment to help make your event exciting and memorable. 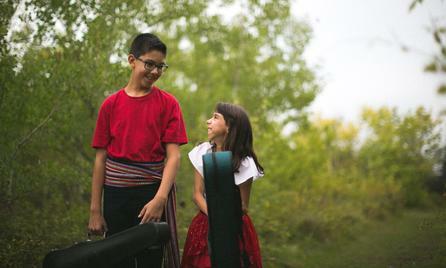 With our unique brother/sister style of fiddle and dance, Spence Tradition can offer background music to set the mood, a high energy stage performance that gets the crowd excited, or instruction for Métis Style jigging. Now, strap into your seat belt for some fast-paced fiddling & jigging! Click on the YouTube logo to see our past performances. Copyright © Spence Tradition Entertainment. All rights reserved.